A quick read. A fun one, though! WhatsApp Plus! We’ve received great feedback for our WhatsApp posts in the past, so we’ve decided to play to our audience this time. The customer is always right. Okay, so if you are anything like the average mobile phone user we have in mind while writing this post, chances are you use WhatsApp on a daily basis. So, why not enhance something as trivial! WhatsApp Plus does exactly that. It is practically WhatsApp on drugs. A more robust and feature-enhanced version of WhatsApp. Okay, I’ll stop you right here. I know what you’re wondering – Why the heck have I not heard of this before!? Well, WhatsApp Plus, amazing as it is, isn’t exactly an over-the-table sorta deal. It is NOT developed, and hence authorized, by WhatsApp. WhatsApp is strictly against the use of these modded versions and WhatsApp Plus, which used to be on Google PlayStore was removed and hence to you need to look out for WhatsApp Plus APK’s. It was introduced back in 2013 by a third-party app developer who managed to reverse-engineer WhatsApp API. Apparently, they made use of Modded Stylesheet files which, though a part of WhatsApp API, are not encrypted. Technical details aside, WhatsApp Plus uses their own servers to intercept messages being sent. Long story short, WhatsApp is provided by a third-party and cannot be trusted as you do, WhatsApp. They have access to all your messages and WhatsApp Plus cannot exactly be considered safe! That being said, most of the fun apps on the Internet are, well, illegal to a certain extent. Also, there haven’t been any actual privacy and data issues with WhatsApp Plus. They have complete access to your database and can practically hack your WhatsApp. They haven’t done so yet ever, and they probably won’t, but that is the bottom-line. We’ve tried it and nothing went awry, and we reckon it is safe enough, but it is always better to be careful. Now, if we haven’t scared you away, let us look at a few key features. Extends the 15MB upper limit on media-sharing. Not only does this mean you can send more images, but also images of higher quality. Highly customizable themes! Ranging from multiple app icon colors to customizable header background, WhatsApp Plus provides a wide variety of customization options. An easier display of contact’s messages. A log to keep track of your friends online record! A digital footprint, if you will. Ability to copy someone else’s status to clipboard. An inbuilt lock for Whatsapp – for those ever-prying friends. Now, the features are not limited to these. They are LOTS more of such features – mostly pertaining to customization. These, according to us, are only the key features. Also, WhatsApp Plus is constantly updated with new features. With such a wide array of features, it’s up to you to decide your favorite set. In closing, we recommend WhatsApp Plus for advanced users who seek something extra from WhatsApp – for the android app aficionado. We reckon you best use WhatsApp Plus when you haven’t got sensitive information being exchanged on WhatsApp. Also, do not attempt to use this when you might need WhatsApp for a day, as WhatsApp Inc. levies a 24-hour ban on your account if they found out you’re using WhatsApp plus. It is not very common and isn’t long-lasting, but is something that should be at the back of your mind whilst using WhatsApp Plus. In case getting banned is still bothering you, consider GBWhatsApp which is considered to be ban-proof. After everything said, it really isn’t that dangerous. Do make sure, though, that you download WhatsApp Plus from a trusted source. 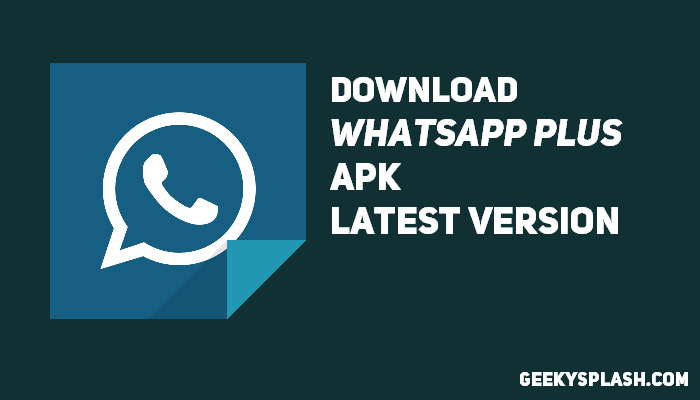 You have to download the APK and backup chats from the original WhatsApp before installing WhatsApp Plus. Check the above site for more info on this. And as usual, share, like, and comment on this post if you’ve liked it. Also, keep your eyes glued to this spot as we have lots more interesting posts in the works. Until then, toodles! Previous article Micromax Mobiles – Where is the Glory ?